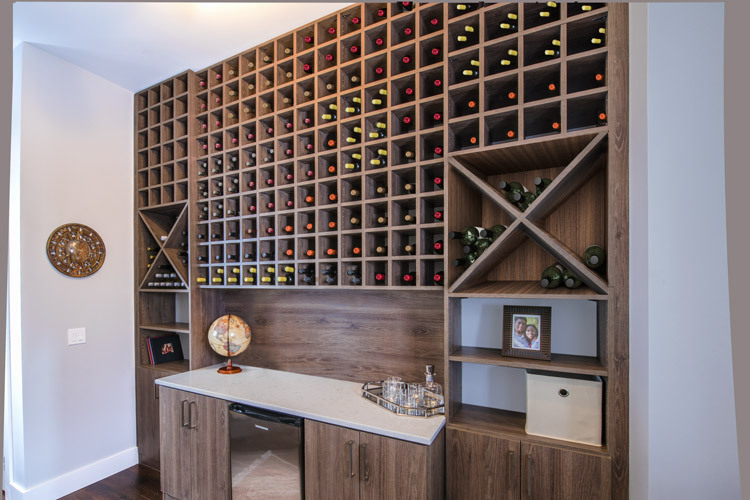 The designers at Closet Works are specialists in pantry shelving systems, and we proudly serve the Roscoe Village neighborhood of Chicago and the 60618 area. 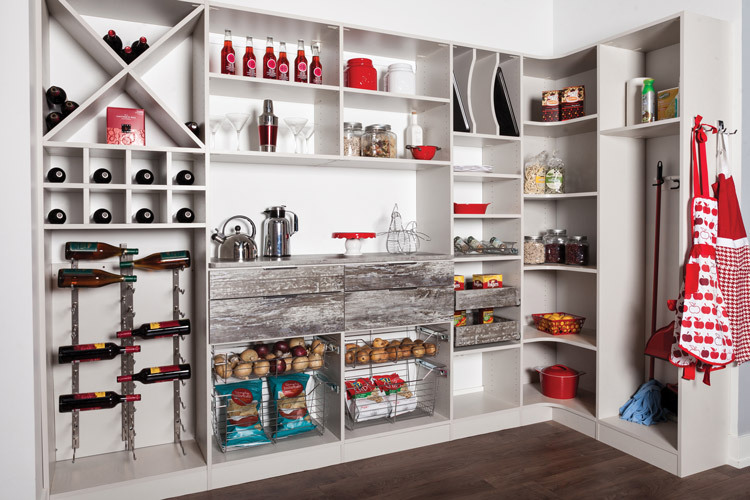 Let us help you optimize your space with new, custom pantry shelving today! View our gallery of pantry cabinet ideas & solutions here! View our gallery of pantry accessories here! A disorganized pantry is a kitchen nightmare when planning a dinner party or other function in your home in Chicago's Roscoe Village neighborhood. Not only does it make food preparation and finding ingredients difficult, but it can also be harder to shop if you can’t find or don’t know what is already in your kitchen. This is where an organized pantry shelving system can quickly make an impact. When it is time to buy groceries, owners of well organized pantries are able to prepare a list quickly by glancing over which supplies are low. Whether your home is old or new, custom pantry shelving systems are a great way of achieving order and efficiency while maximizing space in the kitchen. They can help save money as well — ingredients don’t go past their expiration date due to being forgotten at the back of cupboard when everything is visible and accessible. Pantry shelving systems from Closet Works are customized to create the most effective storage possible in your Roscoe Village, Chicago kitchen. 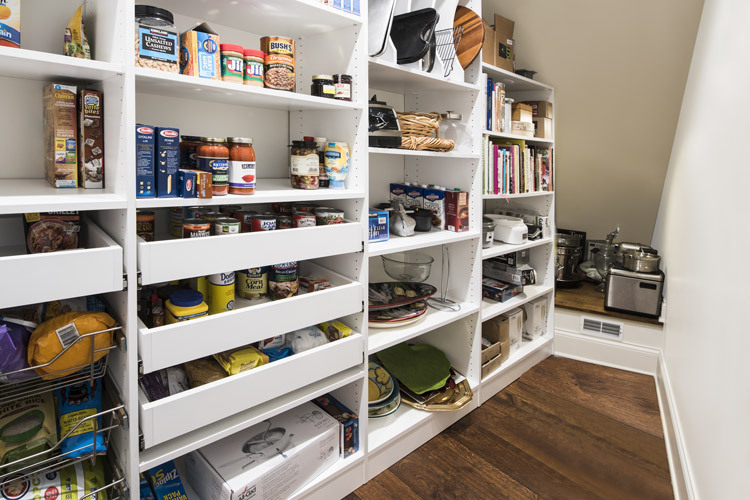 Most homeowners are thrilled to discover that they can keep much more in a tighter space after investing in a custom pantry shelving system. Pull-out pantry shelves, drawers, beverage and bottle holders, pull-out baskets, spice racks and vertical tray storage are just some of the popular options that can be incorporated into your custom pantry shelving system. Certain spaces are best organized with a 360 degree rotating pantry shelving system like the 360 Organizer® by Lazy Lee® — helping homeowners in Roscoe Village, Chicago to gain practical storage in tight corners and at the back of the cabinet by keeping all food stuffs visible and accessible at all times with an easy spin of the shelf. 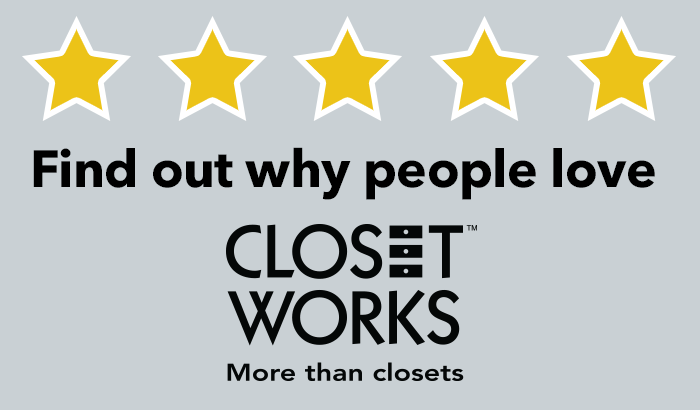 Designers at Closet Works are experienced in helping homeowners in the 60618 area with space management and creating pantries that work for you. We are specialists in pantry shelving solutions and proudly serve the Roscoe Village neighborhood of Chicago.